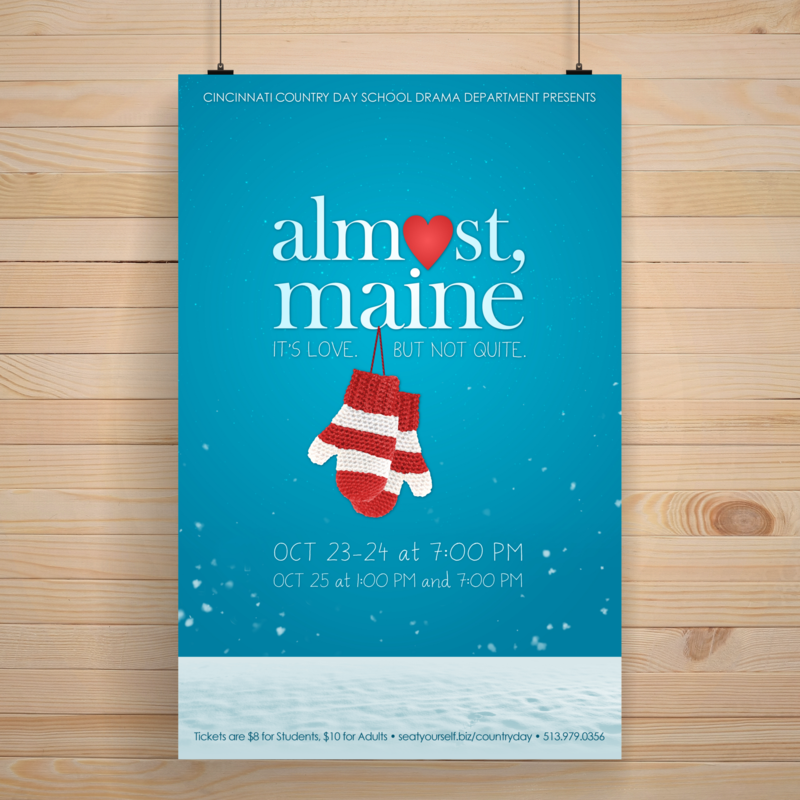 This is a design I did for a local high school, Cincinnati Country Day’s, production of Almost, Maine. I came across a notice on a Community Theater message board, posted by a director seeking a designer to create artwork for his student’s upcoming season. The director asked that designers submit mock ups to be considered. Ordinarily, I’m not a fan of contests to acquire design jobs or any situation where you’re required to do design work without a commitment from the client. But I liked the idea of designing to promote an arts program in a local school and I felt inspired, so I designed a poster and submitted it. 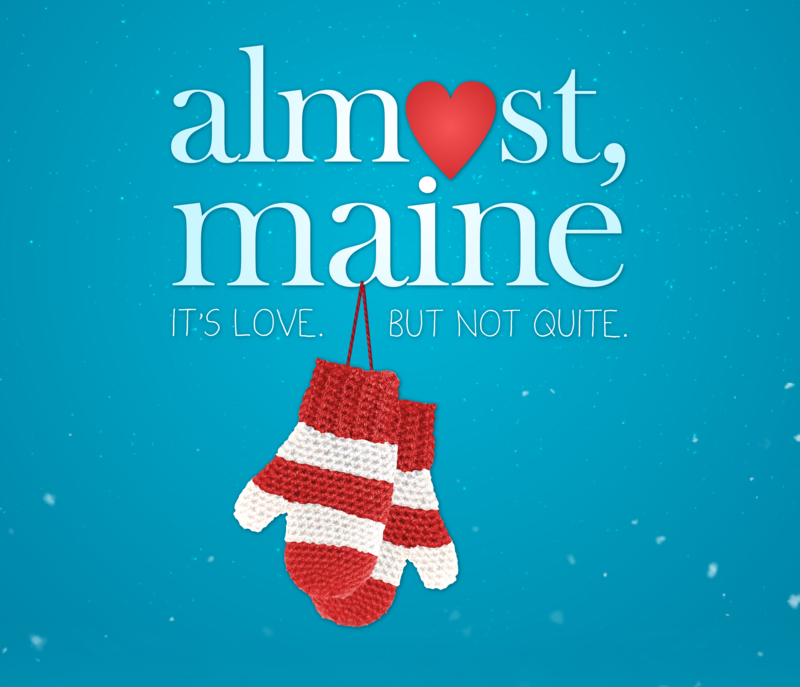 Almost, Maine is a play including a series of nine vignettes about love and loss. 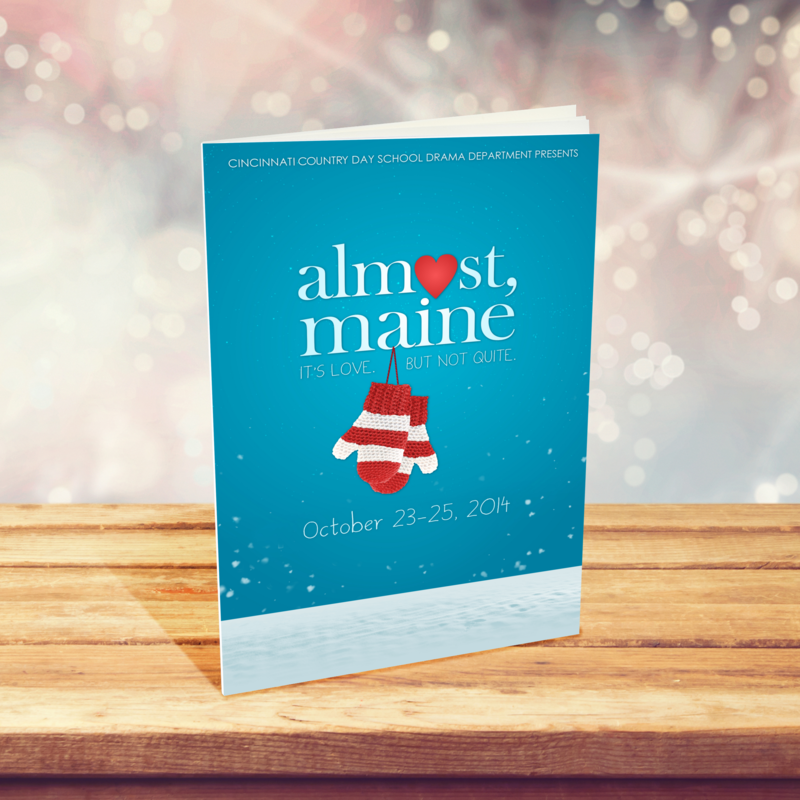 Most of the artwork I’ve seen for this show involves couple on a park bench, northern lights, or graphics of the state of the Maine. I had seen concepts using mittens, but none as clean or simple as what I was picturing. This may be the poster design that I’m proudest of so far. 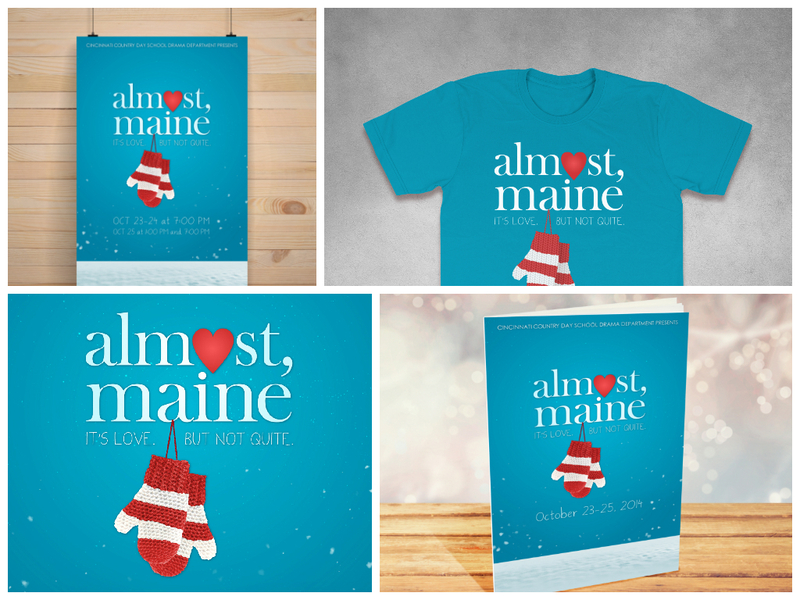 I feel that it has a lot of originality, and it’s cleaner than some of the other Almost, Maine designs out there, while still fitting the mood of the show. 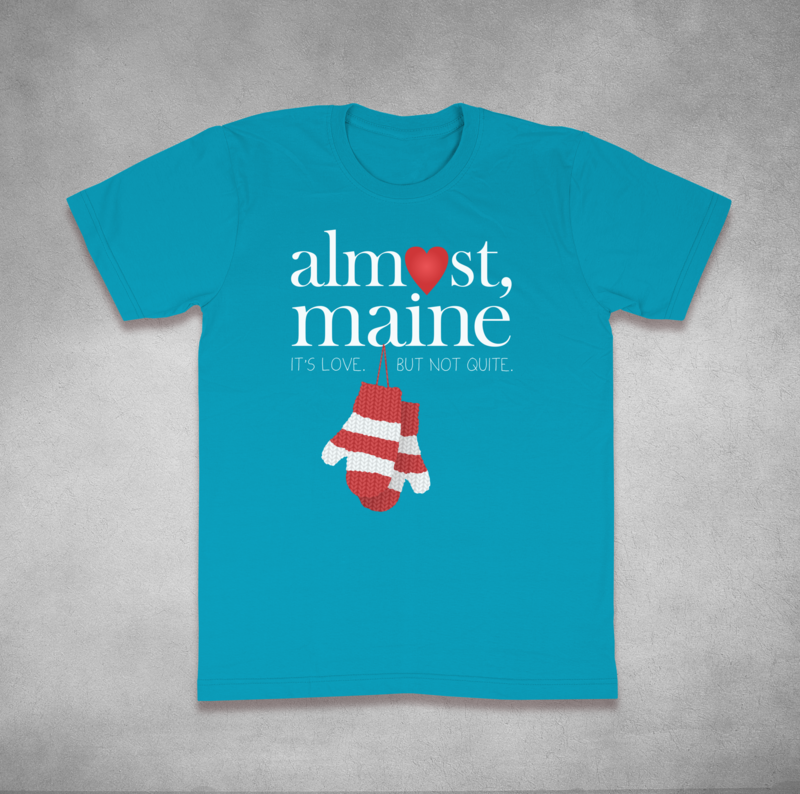 A version of the design, modified to go on a t-shirt for the cast and crew. The playbill for the show.